The only reason for the club deciding for a change in management is the lack of performances when it came to European competitions.Emery has been a multiple Europa League winner over the last five years, and his presence has certainly led to an improvement in the club’s European form. Despite in a tough group containing the likes of Arsenal and FC Basel, Paris St Germain have managed to take 10 points from the four games. The only blemish in Europe this season came through a tough draw with Arsenal. Even then, PSG remain second in the table and finishing top would be the main priority. 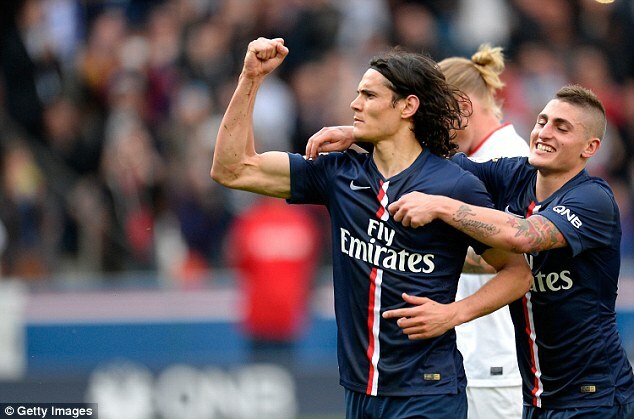 Apart from doing well in the French league, Cavani is also the second-best scorer in the Champions League this season. "The only people I have to answer to are my teammates and the coach [Unai Emery], who has faith in me.I sleep well, because I know I give everything, sometimes even more.Criticism is part of football, of cinema, of everything. Work always ends up paying off, and if there are critics, there are also those who love PSG, who love Cavani, and that gives me the strength to continue," said Cavani, who has become the club’s first choice striker after the departure of Zlatan Ibrahimovic.